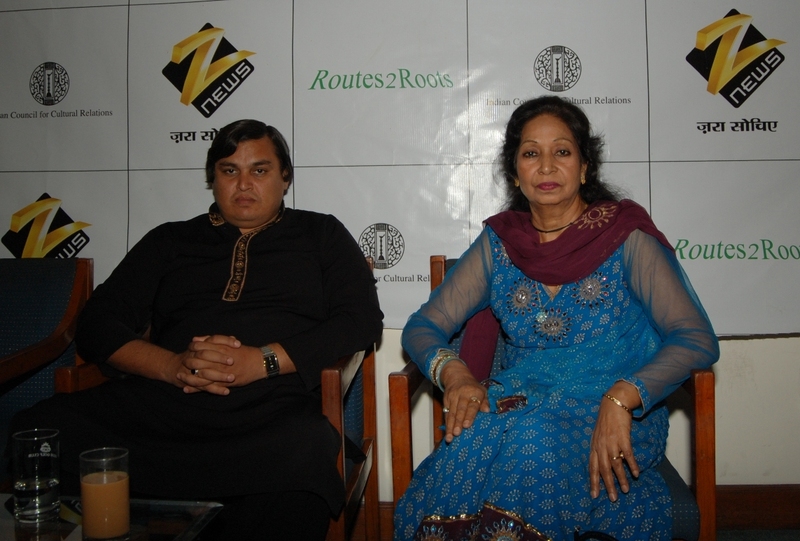 Zee News recently organised a Live in concert in the national capital. It was an initiative of Zee News to unite the world against terrorism; the aim of the concert was to spread the message of peace, harmony and goodwill through the platform of Music. The concert was organized in sync with Zee News 'India First' Campaign, which urges people to come forward and make an effort towards the progress and prosperity of the country. The concert showcased performances of Pakistani singer Masroor Fateh Ali Khan, nephew of late legendry classical singer Nusrat Fateh Ali Khan, who paid a tribute to the legend by singing his popular songs. Charanjit Soni, disciple of Smt. Shanti Hiranand also entertained the crowd with melodious Begum Akhtar's favourites. Zee News believes that music transcends all boundaries and initiative such as these help inculcating feeling of love and understanding amongst the nation. The concert was an attempt by the channel to raise awareness about the necessity and importance of global peace and harmony. The event was supported by Indian Council of Cultural Relations and Routes2Roots.